Award-winning podcast for you to learn about podcasting, Audacity, and WordPress from Daniel J. Lewis. Awarded #1 technology podcast in 2012 by people's choice. Podcasting is a exciting and personal way to share your message with others, but how do you do it? What equipment, software, and skills do you need? Daniel gives you answers to these and more podcasting questions. Many episodes focus entirely on Audacity. 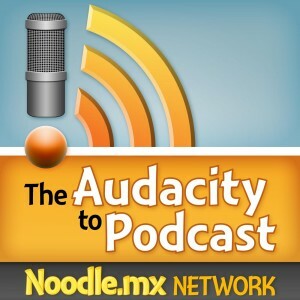 Send your questions and feedback to Feedback@TheAudacitytoPodcast.com or call (903) 231-2221.